Darley Dance Productions is the name of our company but when we refer to Darley Dance Productions there are a number of other smaller group names included within this company. These include Darley Dance, Uk Pro Cheerleaders, The Female Dancer, The Freelance Dancer, The Christmas Show and Darley Dance Cheerleaders. 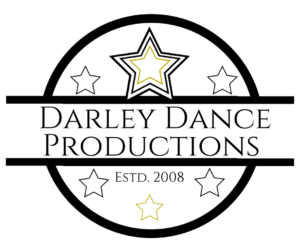 Whilst you may be more familiar with one of these groups more so than another we would like to make it clear that they are all part of the same company, Darley Dance Productions.